Our weekend filled with adventures and socializing was a nice break from spending my time alone in the kitchen. I love cooking, but sometimes a girl just needs a break! It wasn’t until Monday morning that I realized I had absolutely no meals prepared for the day ahead. I had to wing it and pack a couple of nori sheets, rice and leftover sausage for lunch. The combination turned out to be quite good for the amount of time I put into the meal. Granted, you probably wont see a nori sausage recipe popping up on the blog anytime soon. After a day of randomly eating whatever I could find, I decided to dedicate the afternoon to prepping a couple of meals to make the crazy week ahead a bit more manageable. The first (essential) recipe on my mental list was a fresh batch of vanilla almond flax butter. We go through the stuff at an incredibly alarming rate. 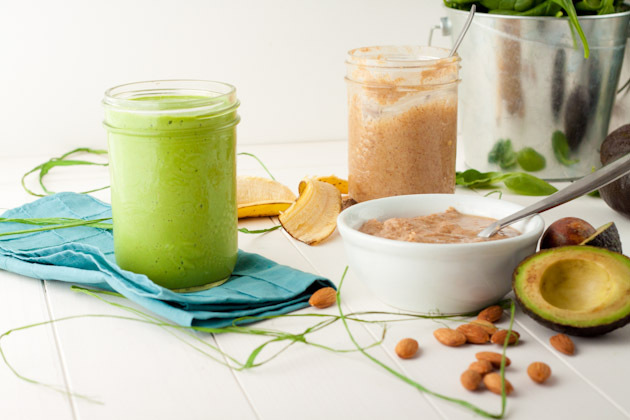 As I was licking the spoon… common you can’t say you don’t do the same thing when you’re making nut butters, I decided to throw a bit of it into a green smoothie for a invigorating afternoon pick me up. 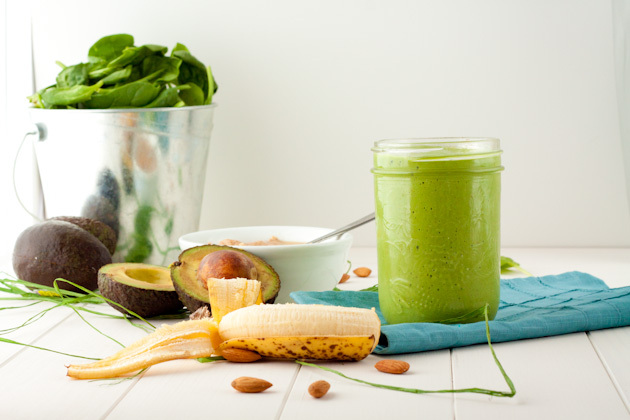 Avocado, banana, spinach, bam! So easy, so delicious. 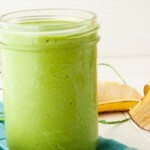 The combination of avocado and banana makes this green smoothie as creamy as can be! 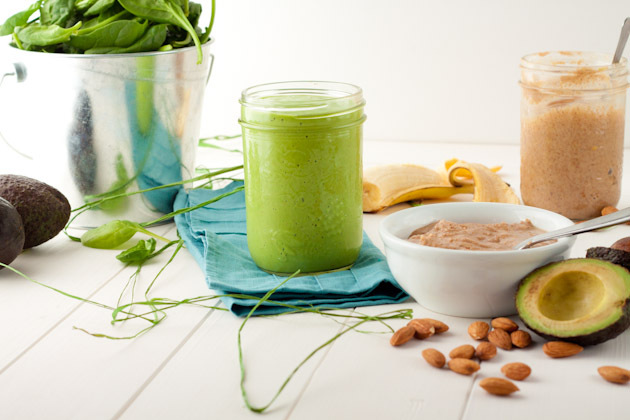 Do you like adding nut butters to your smoothies? If so, what’s your favorite combo?